How Should You Pay Income Tax? Understanding the New 2019 Federal Income Tax Brackets/ Slabs and rates? How to Check If Your PAN Card is Active or Not? 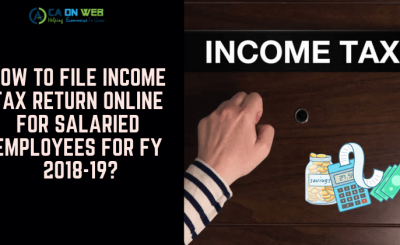 How to file Income Tax Return Online for salaried employees for FY 2018-19? 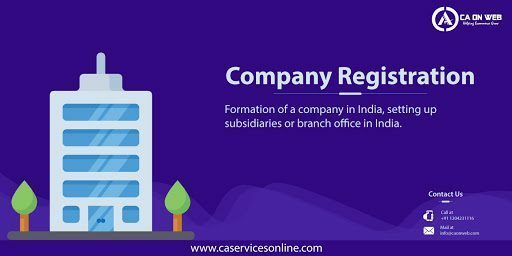 By company registration here means Formation of a company in India, setting up subsidiaries or branch office in India. A private limited company in India is a separate legal entity. Shareholders are therefore not personally liable for the debt of the company. 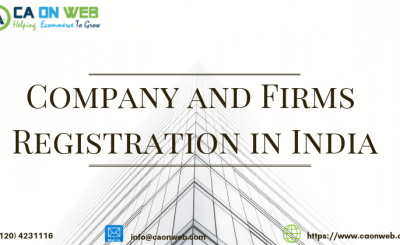 The minimum requirement for any person to form a private limited company is that two directors of which one shall be person resident in India. Therefore even for a foreign national can be a director in a private limited company in India. You must also know that once you form a private limited company, It is mandatory for you to appoint the auditor of the company within 30 days of incorporation and there is annual compliance like filing your financial statement and Annual Return to the registrar. Read our Article on compliance by the company to know due dates of filing. You could also get unlimited consultancy on your compliance due dates. Is it necessary to have 2 directors for Private Limited Company Registration? Yes, you need a minimum of two directors for a private limited company. The maximum members can be 200. If you are the sole owner, you can register as a One Person Company. Who can be a member of Private Limited Company? For incorporation of private limited company do I have to be present in person? The entire procedure is 100% online and you don’t have to be present at our office or any other office for incorporation. A scanned copy of documents has to be sent via mail. They get the company incorporation certificate from MCA via courier at their business address. Are there any other payments to be made for incorporation certificate in addition to the fee paid at the time of registration? There is absolutely no other payment. Our charges are inclusive of everything. We will send you an invoice with no hidden charges. Our team provides you support till you get your bank account. What is the time taken by caservicesonline.com in forming a Private Limited Company? Can NRIs/Foreign Nationals become a Director in Private Limited Company? Yes, an NRI or Foreign National can become a Director in a Private Limited Company. They can get a DPIN from Indian ROC. Also, they can be a majority shareholder in the company. But, at least one Director on the Board of Directors must be an Indian Resident. 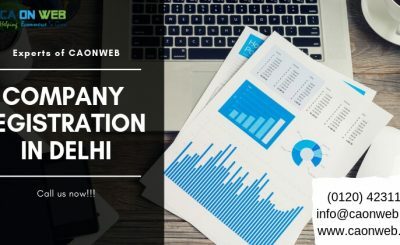 HOW TO REGISTER COMPANY IN DELHI? With an experience of registering more than 500 companies and being counted as one of the top consultants recognised by India Excellence Award 2017, CA ON WEB PVT. LTD. is one of the most trusted legal consulting companies in India. We are most trusted company for Cross-border business.With some best industry experts working for us, we are trusted by well-known companies like Alibaba, Club Factory, Krazybee in China and recently Partnered with PayTM in India. Copyright © CA ON WEB PVT LTD. All rights reserved.